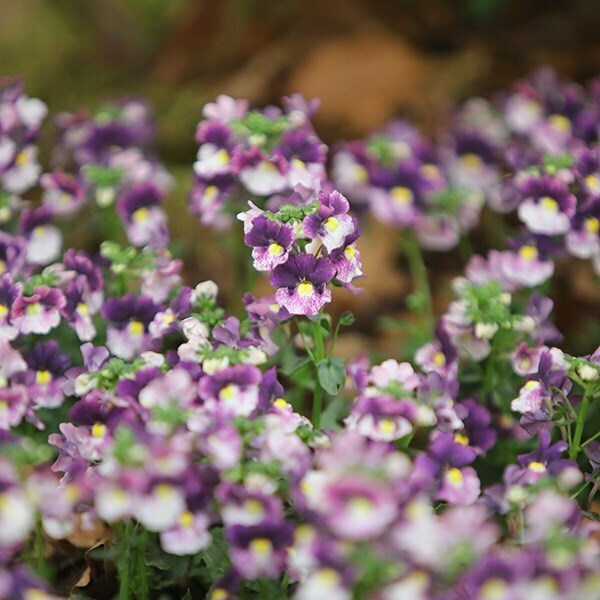 Buy Nemesia Berries and Cream ('Fleurbac') (PBR) nemesia: Perfect for planting en masse in a feature pot. Nemesias are always popular and rightly so being very floriferous and colourful, perfect for planting en masse in a feature pot on their own or together with other bedding plants in hanging baskets and containers. 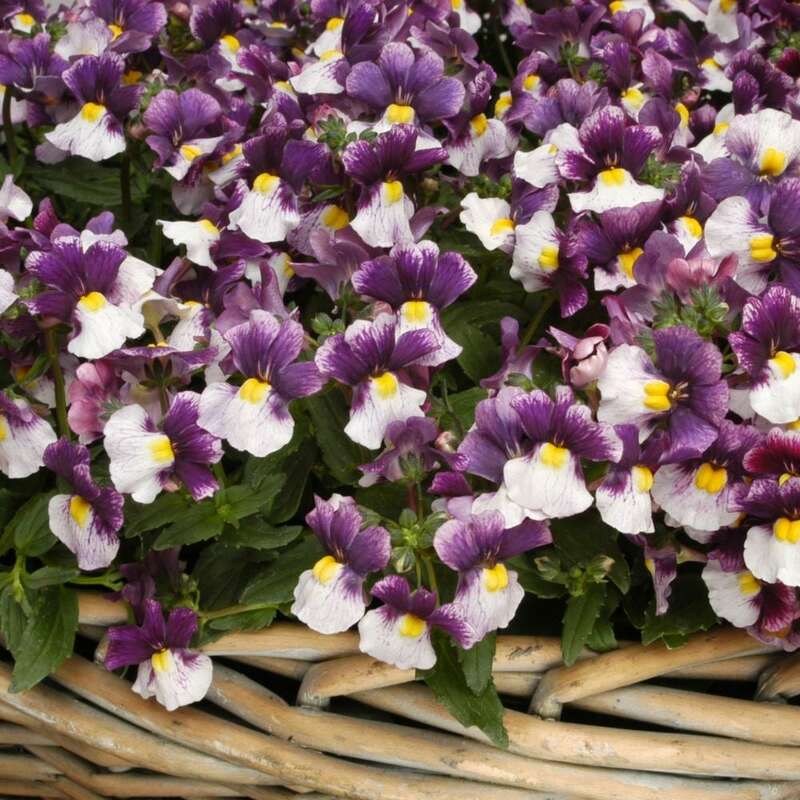 This variety has rich purple upper petals, white streaked with purple lower petals, and a distinct yellow eye. Furthermore it has a lovely fragrance, so plant it where it can be fully enjoyed.